Hunted is a TV show in which ten folk have to go on the run and stay hidden for 28 days. The contestants are allowed to take anything they are able to carry and are granted access to a bank account containing £300. They are being pursued by a crack team of investigators who have all kinds of surveillance powers available to them (including the ability to seize computers, hack email accounts and open mail). Any contestants who can evade these ‘hunters’ for 28 days will win a share of £100,000. 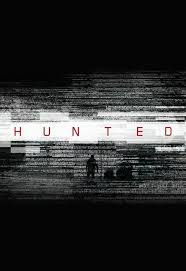 Apart from being an entertaining programme, Hunted is a grim reminder of just how much access the state has to your personal information and all of your electronic communications. British citizens are the most observed people in the western world and the average person is caught on CCTV around seventy (yes, 70) times a day. Two young Londoners working together –Madu Alikor and Ayo Adesina- have been making life difficult for the investigative team, so last week the hunters upped the ante. Dr Donna Youngs is described as an ‘Investigative Psychologist’ and her job is to help profile the lives of the fugitives, predicting how they might react under pressure. On last week’s show, she interviewed the wife of one of the men. As she built up her sophisticated psychological profiles, she unearthed some vital clues to help the investigative team anticipate the next moves of the two fugitives. These two men are on the run, being pursued by professional investigators who have hacked their email accounts and their phones, interviewed their families and used social media to offer financial rewards to any member of the public providing information leading to a capture. The men are tired, hungry, sleeping in ditches and dreaming about that £100,000 prize. Apart from this information and the statement from the wife that 'they argue a lot', Dr Youngs had nothing on which to base her remarkable observations. Only someone who has undertaken years of professional training could examine such flimsy evidence, yet produce an insight which will surely lead the investigative team to their prey.